Take in the gold details and Romanesque columns of Kostel svatého Jiljí, designed in the 1300s and displaying a combination of Baroque and Gothic architecture. Several famous religious figures have preached here since its construction and the renowned artist who painted the ceilings of the church is buried here. Visit the site and consider attending one of its well-known organ recitals. In addition to the excellent acoustics, the concerts provide a good opportunity to gain insight about the church, as the pastor often speaks about its historical and architectural significance before a performance. In a city known for its classical concerts, this site offers you a somewhat more affordable and personal musical experience. Note that the unheated church can get quite cold inside, particularly during winter months, so dress warmly. Plan your Kostel svatého Jiljí visit and explore what else you can see and do in Prague using our Prague day trip planner. Současná the Gothic image of the Beautiful interior is kostela is 1339. bohatě highly decorated. Director Milos Forman shot some scenes of the film Amadeus here. 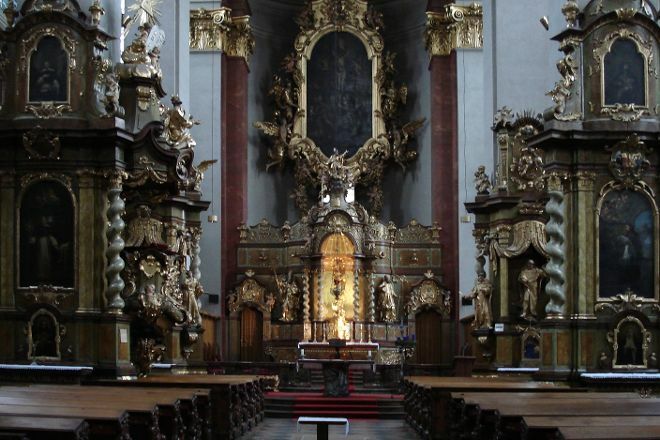 Prague is full of beautiful churches, but this definitely deserves a visit. 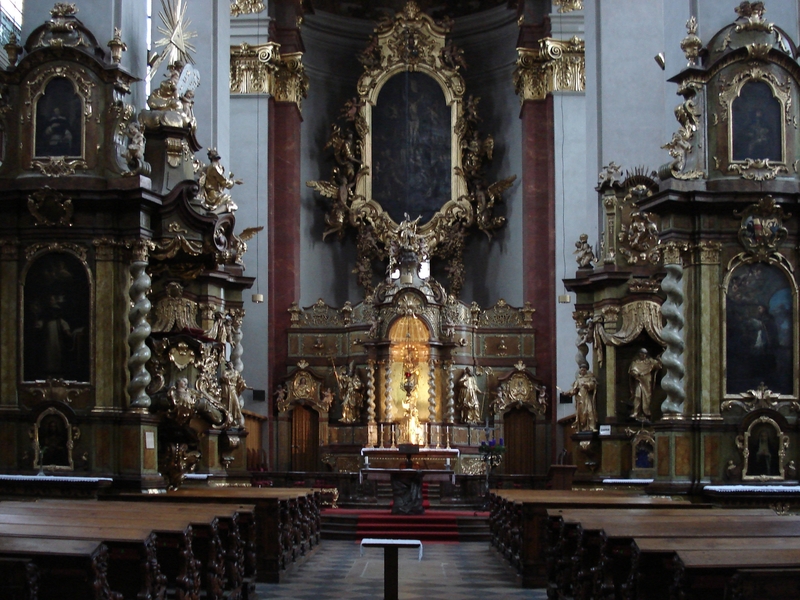 Gothic style, its interior is decorated with baroque altars and decorations. Not far from the Centre and also not usual tourist circuits ... but the advice really. Attended some concerts, excellent athmosphere, artists are investing soul in their music. The lead singer is playing without following the notes. Great organ! Ornate Church with wonderful concerts in addition to services. Would recommend checking out one of the concerts using the pipe organ. This is quite possible one of the most glorious churches in Prague. We actually came here to listen to a string ensemble and organ recital - which in itself was quite breathtaking without the surroundings - but we also caught the last 15 minutes of a service conducted by the monks there. Incredibly beautiful, moving, and unforgettable. Whether you will like it or not depends on your taste regarding the baroque current. Beautiful old church with astonishingly ornate, gilded carvings. Also, a splendid venue for short, light classical concerts in the evenings. Well worth a visit. Every day, we help thousands of travelers plan great vacations. Here are some tips on how to use your Listing Page to attract more travelers to your business - Kostel svatého Jiljí. Promote your permanent link - https://www.inspirock.com/czech-republic/prague/kostel-svateho-jilji-a992535929 - on your website, your blog, and social media. When a traveler builds a plan from this page, the itinerary automatically includes Kostel svatého Jiljí. This is a great way for travelers looking for a great vacation in your city or country to also experience Kostel svatého Jiljí. Promoting your link also lets your audience know that you are featured on a rapidly growing travel site. In addition, the more this page is used, the more we will promote Kostel svatého Jiljí to other Inspirock users. For best results, use the customized Trip Planning Widget for Kostel svatého Jiljí on your website. It has all the advantages mentioned above, plus users to your site can conveniently access it directly on your site. Visitors to your site will appreciate you offering them help with planning their vacation. Setting this up takes just a few minutes - Click here for instructions.